mild day. Temperature: Max 11- Min 5c. 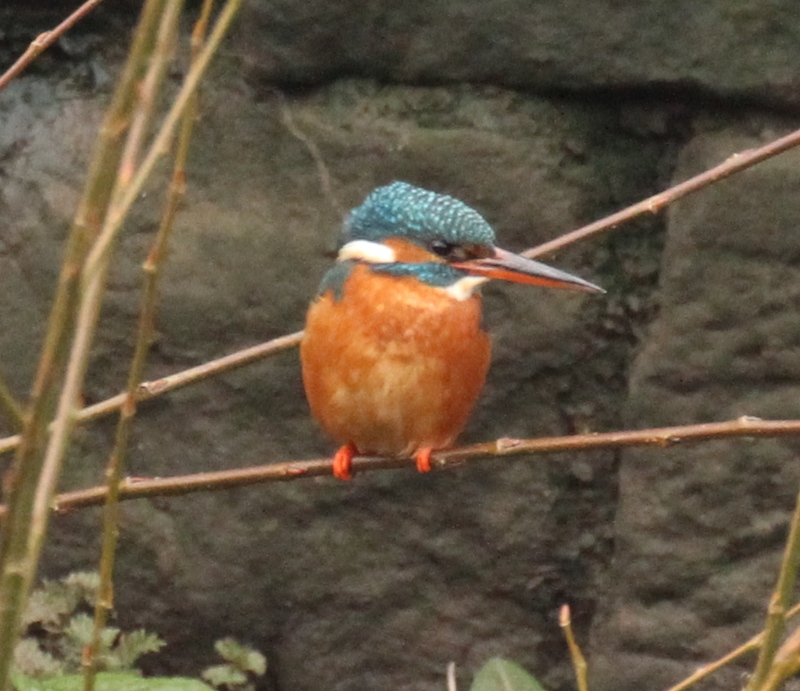 Kingfisher on the Don: This industrial part of the Don, with just a few spronky bits of growth sticking out from the wall, was the place we watched a beautiful female Kingfisher this afternoon. 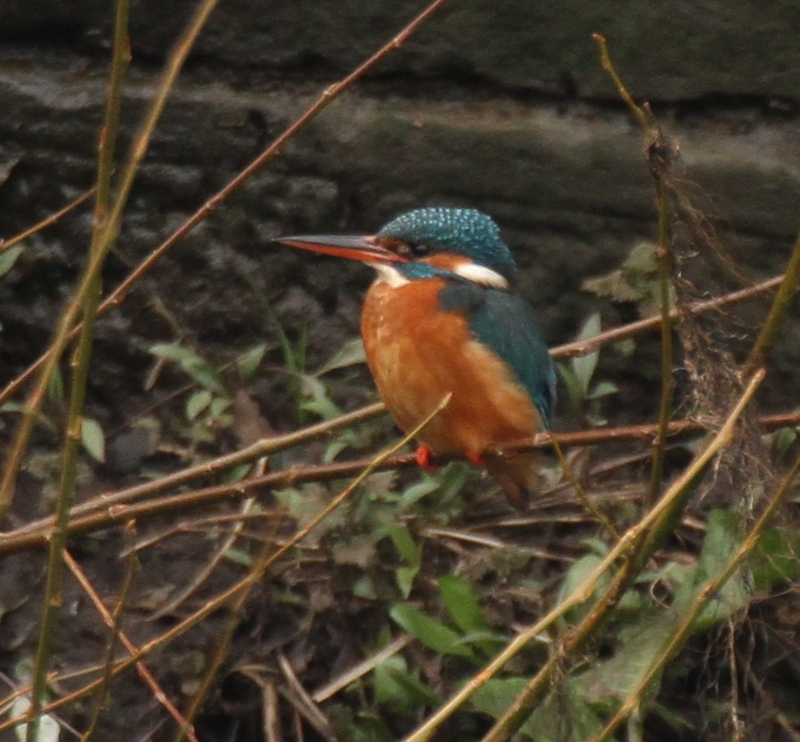 The sun wasn’t shining, and the bird was on the far side of the river so a bit out of range for close-ups but here are some views of the brilliant plumage, visible by eye as she sat, resting, beside the fast flowing river. 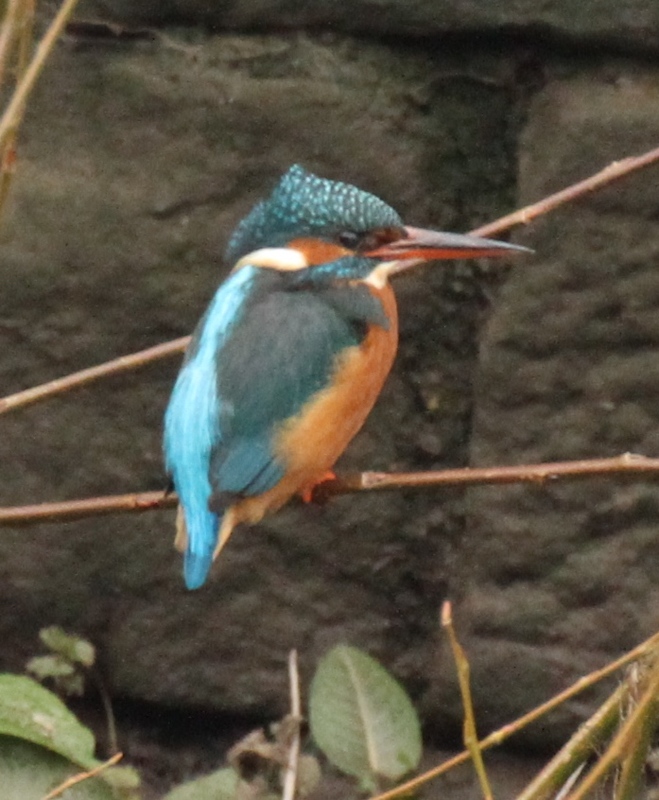 Kingfishers, especially the bright streak of turquoise down their backs, always shine as though the sun is lighting them up. 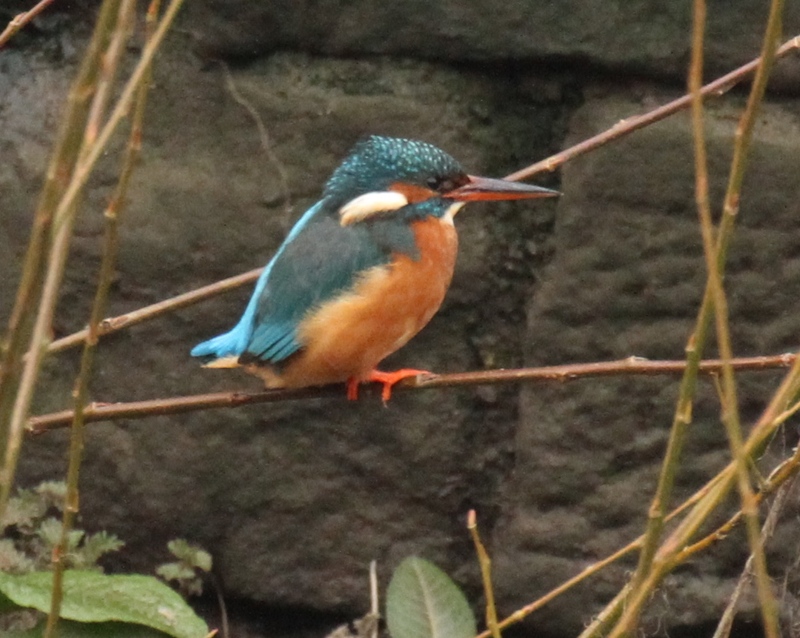 Females have an orange lower beak. Conditions: Chilly breeze, rain easing to cloud. Temperature: Max 11- Min 2c. tongue further reduces vibration. These facts have only been discovered since the invention of high-speed photography, but are being used to develop new materials that should help protect many things, from airplane black-boxes, and sportspeople’s brains, from trauma and damage on impact. Conditions: A cool day with breezes, showers and sunny intervals. Temperature: Max 7- Min 2c. 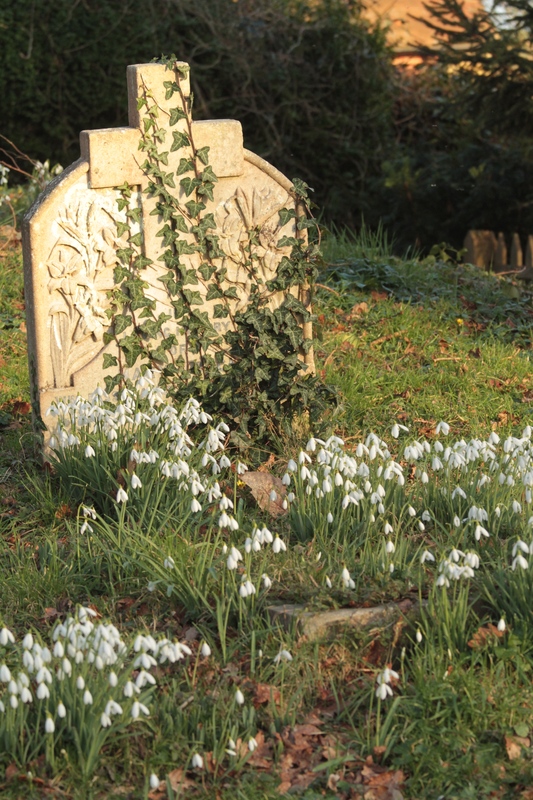 (that is, when the flowers have faded but the leaves are still alive). This is a slightly quicker and more effective way than the means of propagation I mentioned last spring- waiting for ants to do the job for you! 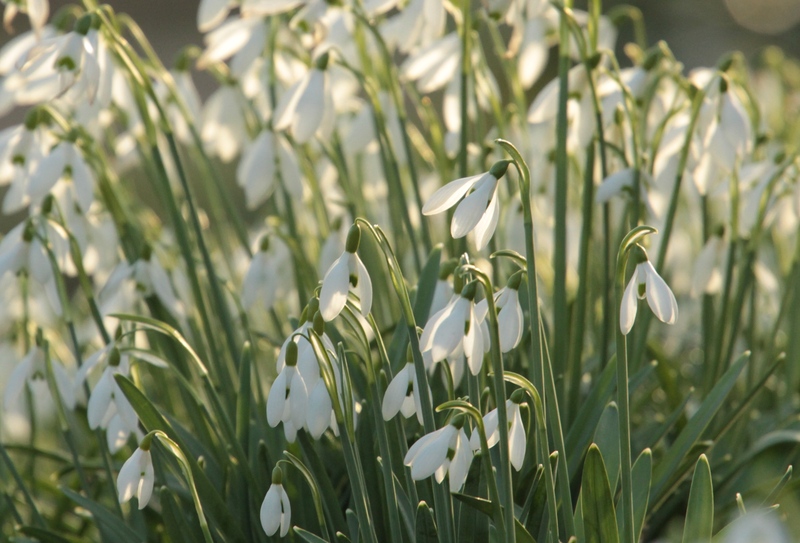 Ants are attracted to the substance round Snowdrop seeds, carrying them off to provide food for their emerging young. The young eat the seed-coating and then the seeds develop, which helps the plant spread further afield. Conditions: Dry, followed by rain. Temperature: Max 5, Min 2c. 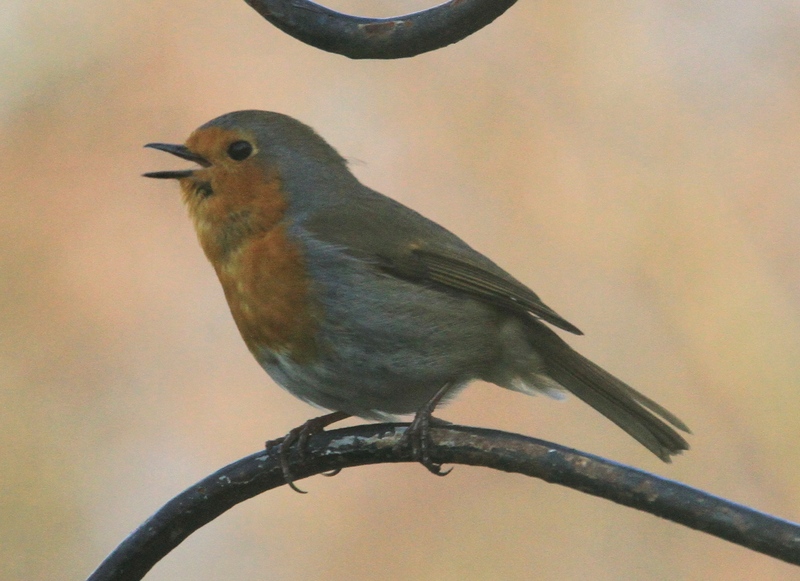 Back in Sussex: Robins have established their territories by now but the males will still sing from key look-out points, to keep the territory held and keep rivals at bay. 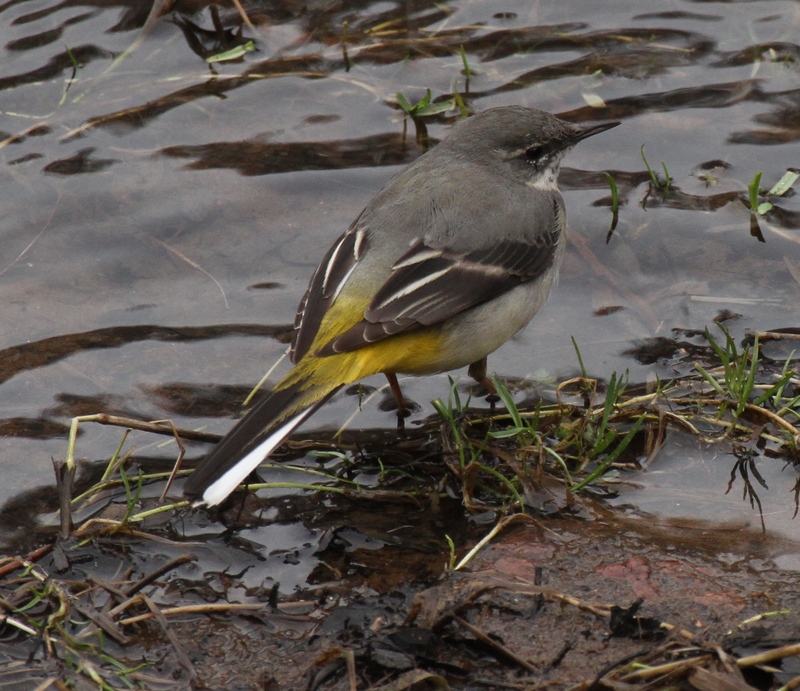 This one was also displaying by flicking its wings and tail, and fluffing its body up. Conditions: A gloomy day with a cold breeze and rain. Temperature: Max 8- Min 3c. 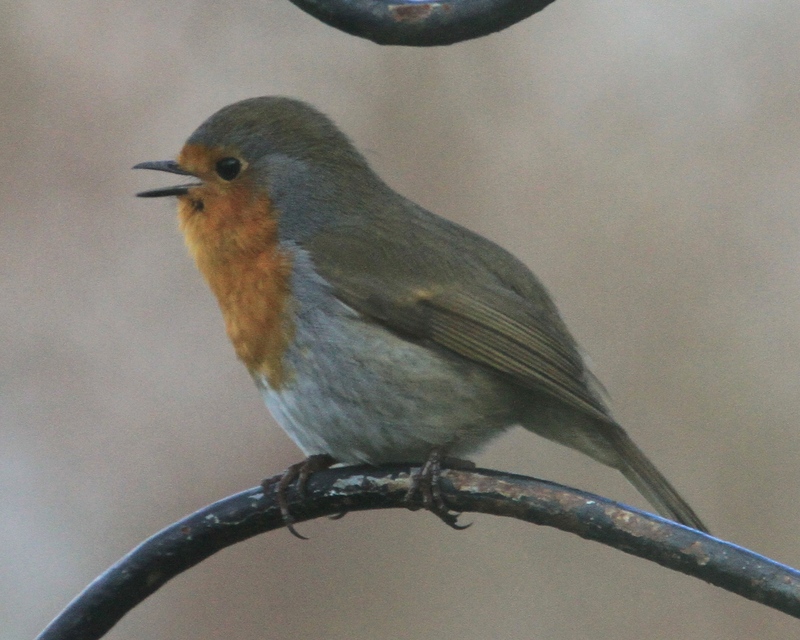 Robin singing to hold its newly created territory. 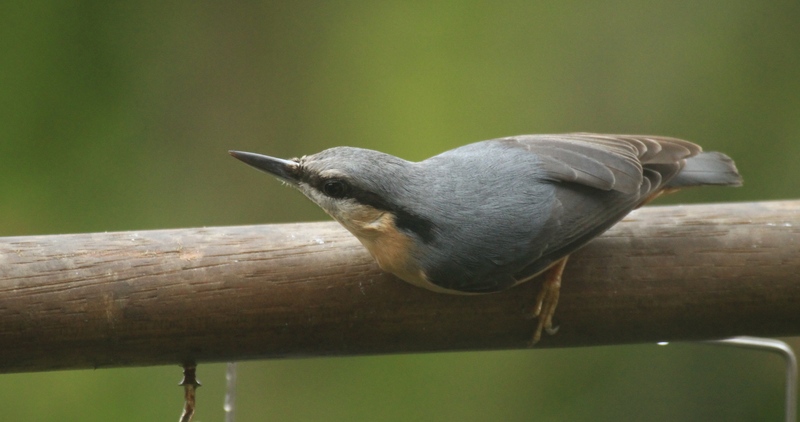 Nuthatches: It’s a pleasure to feature a bird that is doing so well it is expanding it’s territories into more gardens and further North in the UK. 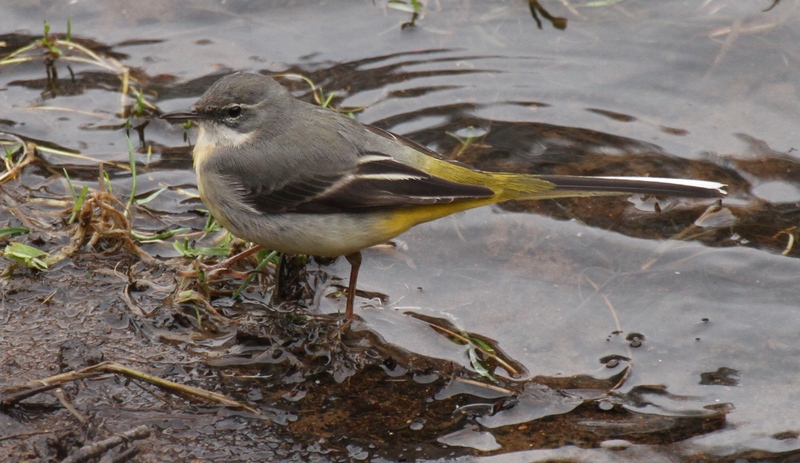 In fact it is one of the birds on the Green List. 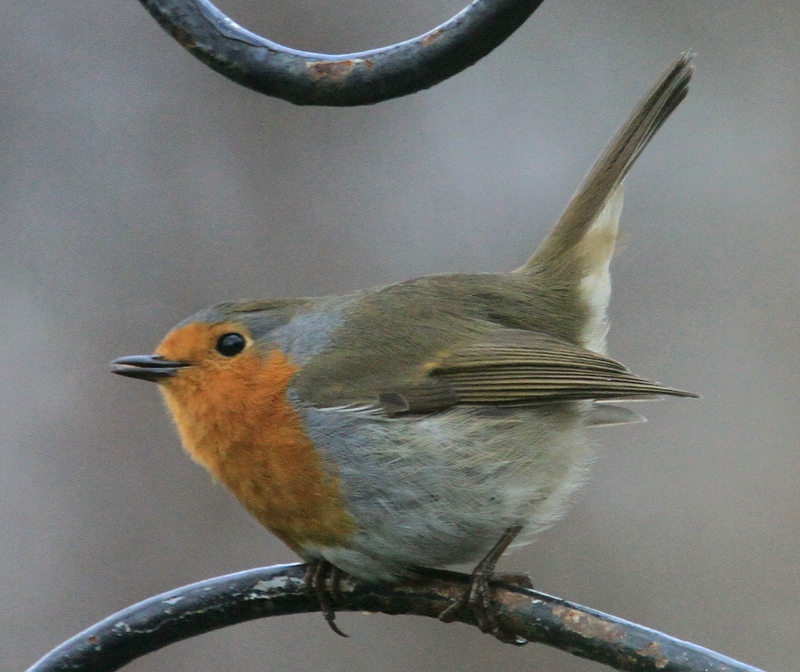 It is also a frequent visitor to bird-feeders, where it demonstrates it’s ability to move up and down when looking for food– whether on a bird-feeder or a tree-trunk! 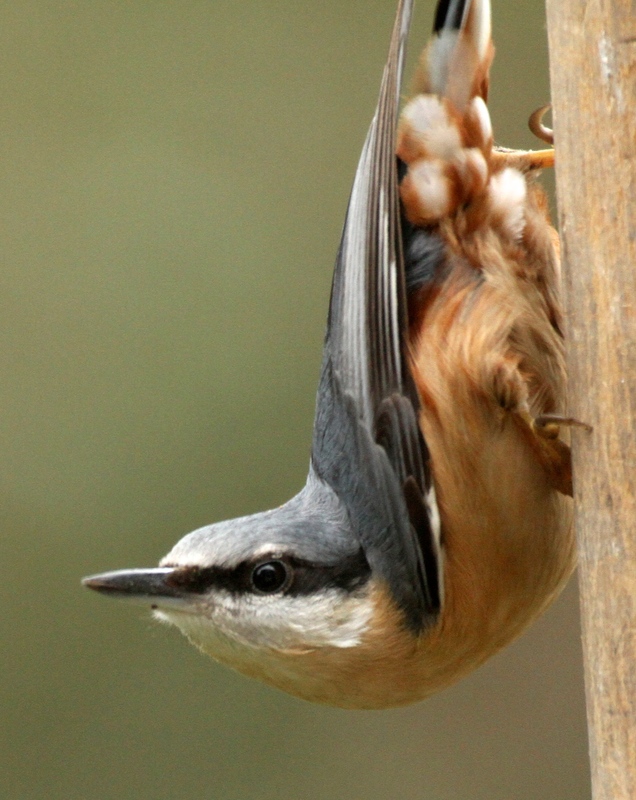 Nuthatches don’t move far from their breeding grounds in winter but, with insects being less available, they change their diet to eat more seeds, nuts and fruits. 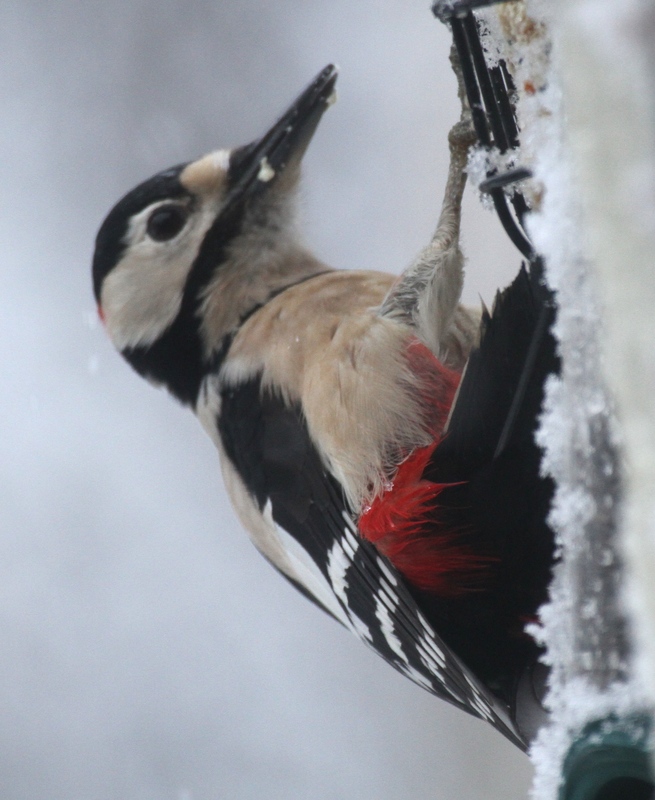 Their flexibility is part of their success, feeding on a wide range of common tree-seeds, including Ash, Oak, Hornbeam and Sycamore, as well as peanuts, seeds and fat put out by us. 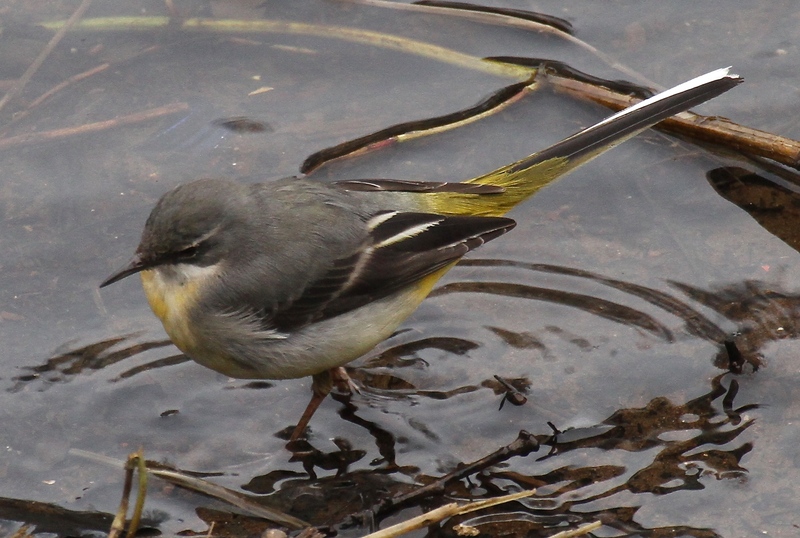 They also increase their chance of surviving winter by caching seeds in crevices in bark, covering the seeds with small pieces of bark, lichen or moss, to return to when food is harder to come-by. 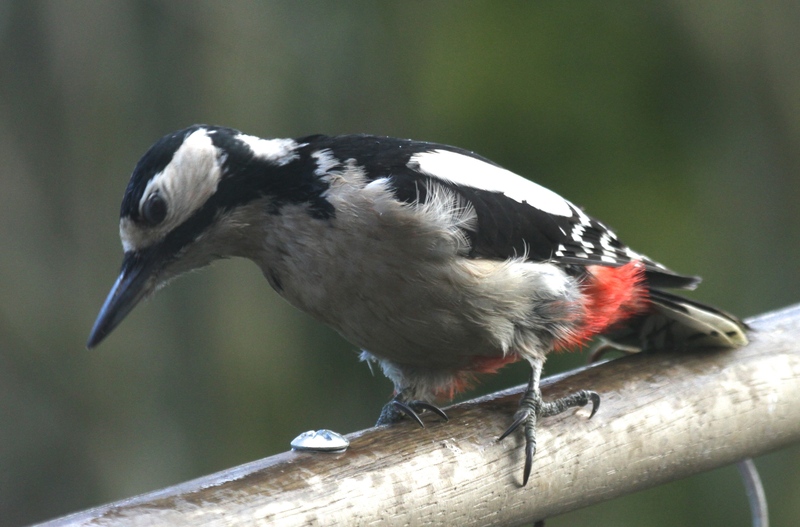 If you have two visit, they are probably a pair because Nuthatches usually pair up and establish territories by early autumn. Condition: A cool breeze and very blue sky. Temperature: Max 8, Min 4c. 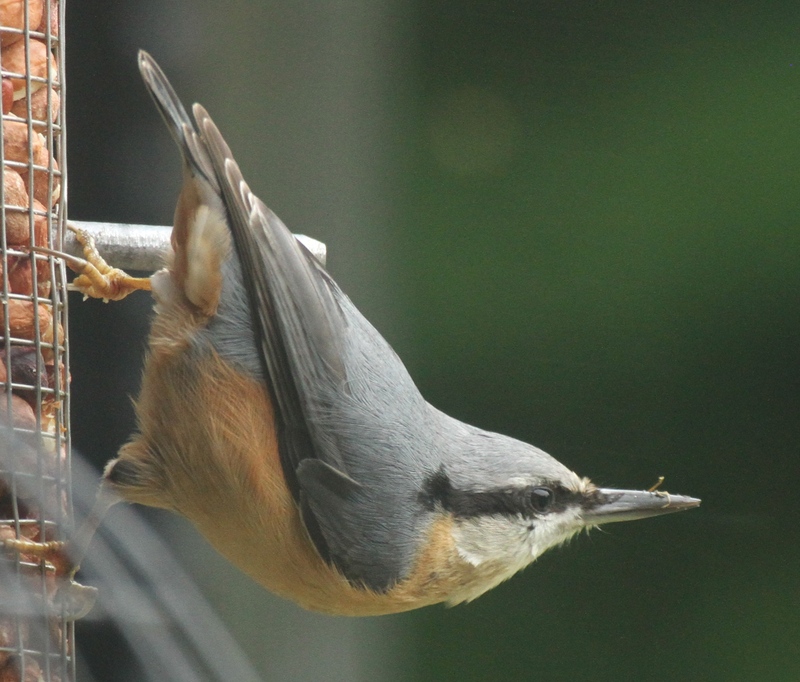 This beautiful Nuthatch has unusual feathers on its rump. The ‘bandit’ mask is very noticeable in this shot. 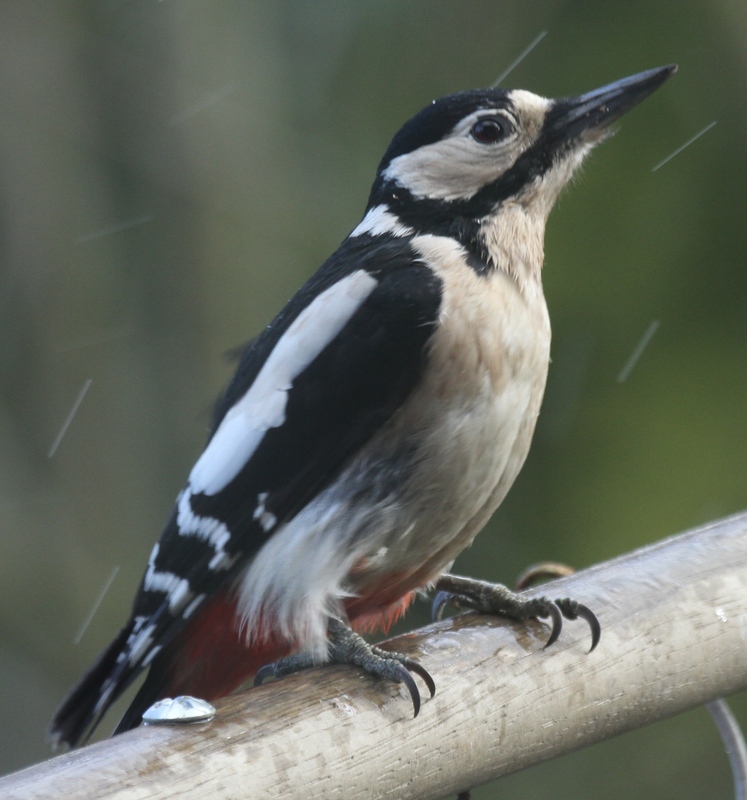 Nest Box Week– if you are able to do some DIY but can’t get on the garden at this time of the year, there are lots of possibilities in addition to Bird Boxes. 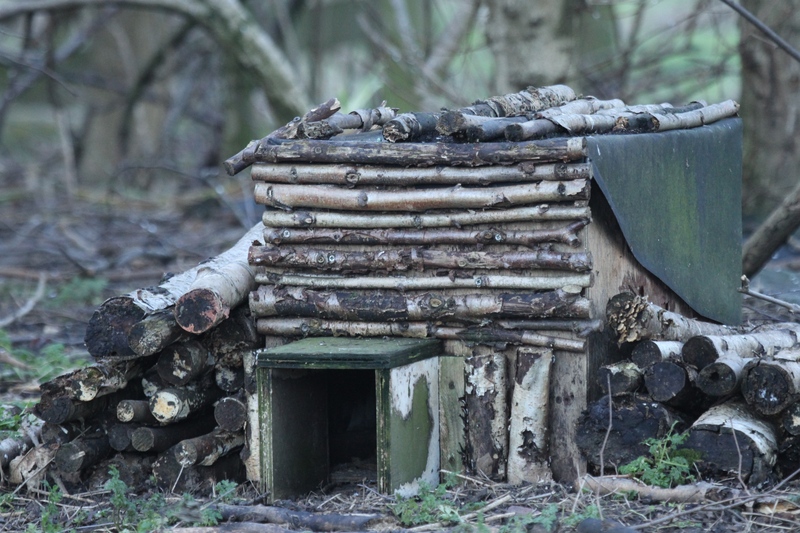 Bat boxes are even easier to make and how about this Hedgehog Box at Old Moor. Sian and I had great fun making a much simpler one a few years ago out of scraps of wood and twigs. Or something like this insect feature in a garden we visited last year- the more insects, the more birds, anyway. 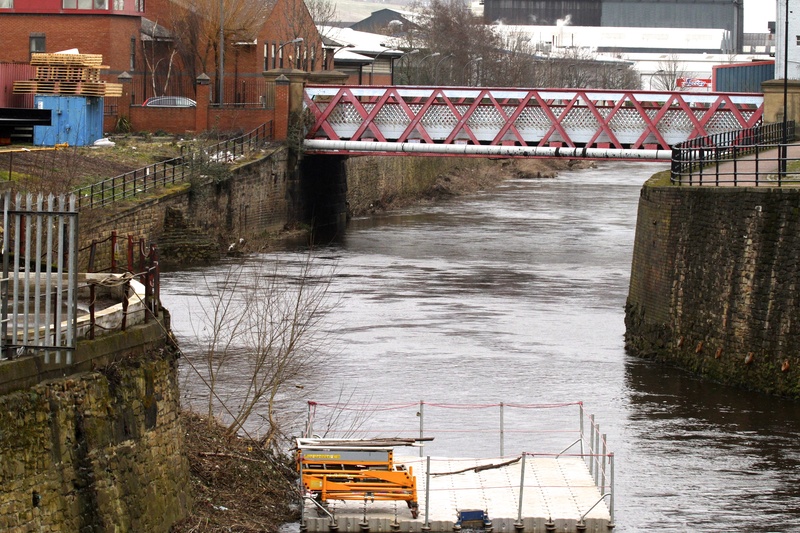 Much simpler designs can be found on line, or bought from suppliers. Conditions: A mild, misty day. Temperature: Max 7- Min 5c. 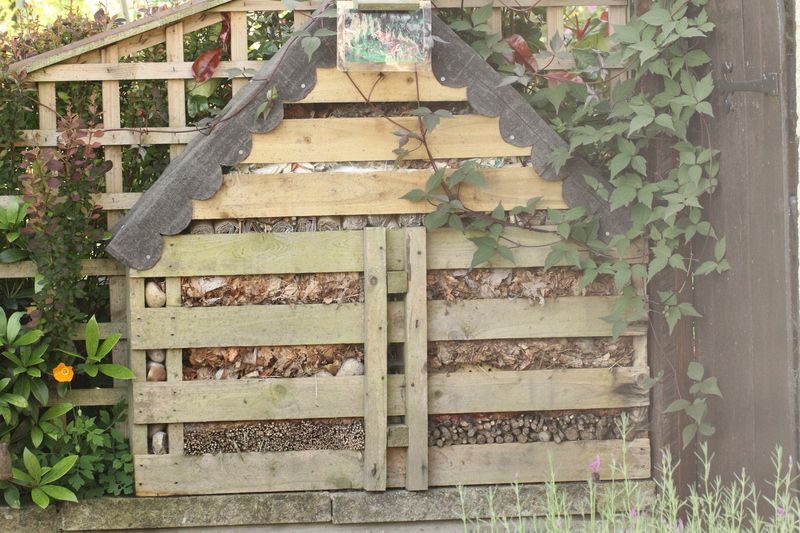 An elaborate home-made insect home in a garden we visited last year.